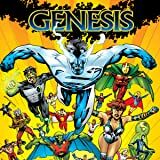 The Year One Annuals continue, exploring pivotal events and untold stories of the DC Universe's greatest heroes...and in this case, villains! 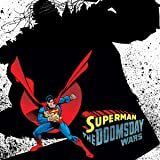 One of Year One's most unusual Annuals looks at the previous lives of Superman's monstrous killer. 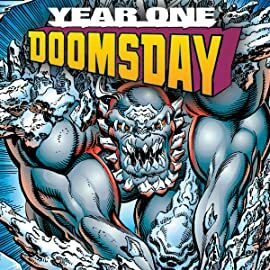 Cursed with the ability to return after every mortal defeat, Doomsday has survived countless "Year Ones." 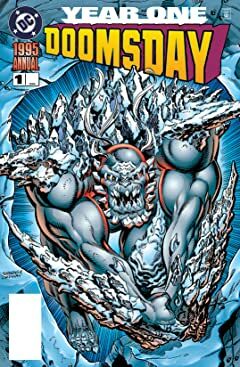 Four tales are told of the Armageddon Creature's rampage through the cosmos, before his fateful first encounter with the Man of Steel. 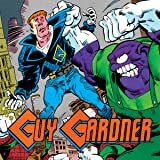 The first time they fought, they killed each other. 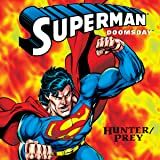 Now the rematch of the century is at hand as the Man of Steel goes on the hunt for his deadliest adversary in SUPERMAN/DOOMSDAY: HUNTER/PREY!